Samsung suits its smart watches with in-house Tizen OS, instead of relying on Android Wear. 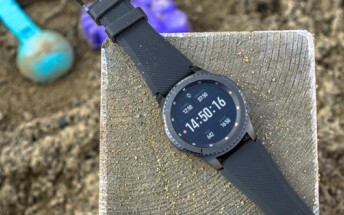 The latest and mightiest of all wearables by the Korean company is the Gear S3 Frontier, and as the leading device, it is also the pioneer when we’re talking about firmware updates. The SM-R765 model (the one with LTE) got another upgdate today. It is mostly bug fixes but also includes an unknown new feature called 'Jansky Wearable'. We still don’t know if this is a Watch Face or something you can do with the watch, but hopefully an early adopter will be able to fill us in. The Gear S3 Frontier’s Tizen OS got the R765TUVU2AQA6 version with stability enhancements, bug fixes and "further improvements".